The Provincial Youths of the Central Committee of the United Party for National Development-UPND in central Province has urged all political parties taking part in this year’s elections to desist from engaging in Violent. Provincial Youth chairman Milner Mwanakampwe says elections will come and go, but Zambians will still have to live together. 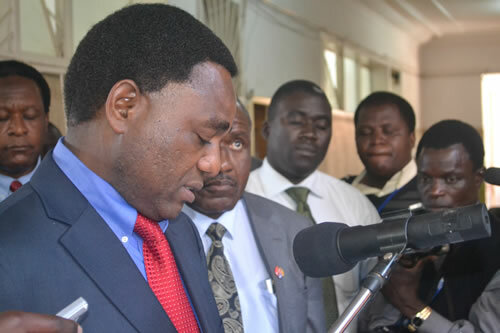 Mr Mwanakampwe says the UPND has no room for violence because Party president Hakainde Hichilema has encouraged all party members to preach a message of goodwill and carry out peaceful campaigns. He has advised youths not to be used as tolls of violence by selfish politicians. Mr Mwanakampwe said this in a statement to ZNBC News in Lusaka on Sunday.